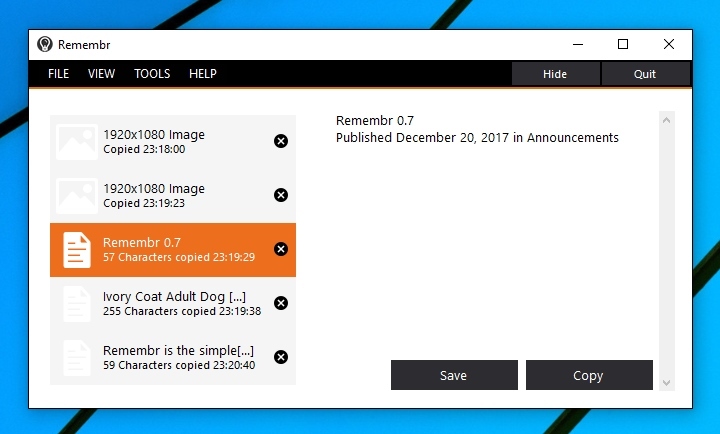 Remembr is the simplest Windows clipboard management app. Why do you need Remembr? Have you ever copied something to the clipboard, only to accidentally overwrite it with something else? Remembr preserves everything you copy to the clipboard so that you can recover it later. Find stuff in your clipboard history. Designed for minimal resource usage. Preserves dozens of image and text formats.